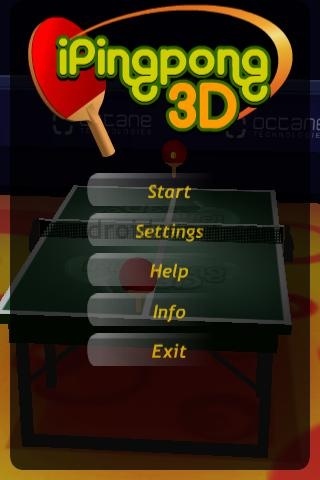 iPindpong 3D is a 3D table tennis game for your Android phone. You can choose to either play a short match or start a whole tournament. 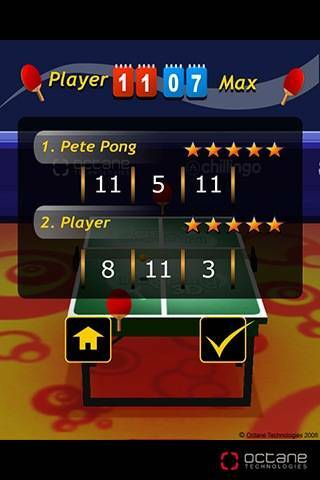 Become an Android pingpong champ with this cool game! You might not make it to the Olympics, but it sure is a lot of fun! iPingpong 3D positions you right behind the game table, giving you a great view of the entire game. A paddle is all you need to beat your computer opponents. As I said, you can choose to play a quick match or an entire tournament. In quick match mode, you have the option of adjusting the game length yourself. One game can consist of just one set (single game), 3 sets (best of three), or even 5 sets (best of five). The difficulty level can be adjusted for every individual match as well. This way you’re guaranteed to be kept well entertained by this game. In tournament mode your objective is to make to the top of the ranking by beating all the opponents above you. You start off playing against easier players in single set games before then moving on to more difficult and lengthy matches. As soon as you reach the top of the list, you can finally call yourself a pinpong champ. Need to improve your pingpong skills? Train your swing by selecting practice mode from the menu. Make your opponent’s life miserable by adding some backspin to the ball. With a little practice, you can master many different table tennis skills. Don’t get too confident though, because not every attempt at a sweet trick is successful. 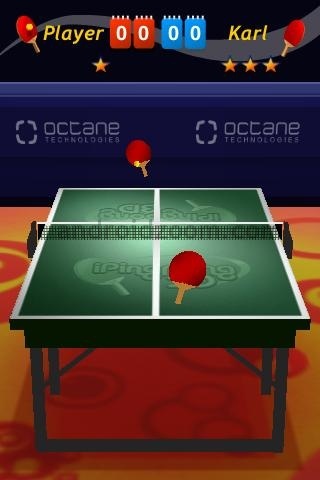 iPingPong is a really good table tennis simulation. The controls are exceptionally effective and well-done. It’s a ton of fun trying to fool your opponent with backspins and smashes. All things considered, this game makes a great impression with its great finger controls and slick game design. An amazing job was done on the 3D game interface. Adding an audience or TV cameras could make the game play even more realistic. Everything is controlled with the finger. At first, I tried controlling the paddle with my index finger, which worked out alright. After a while, I noticed that using my thumb was even more practical because it let me play the entire game with just one finger without having to hold my Android phone in another hand. 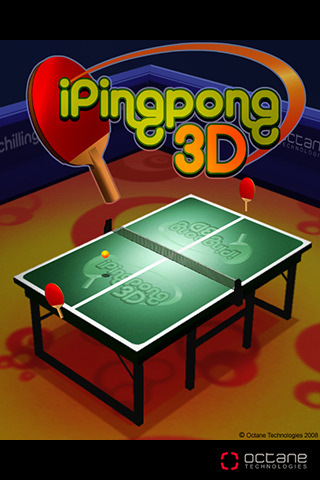 iPingpong 3D ran smoothly throughout the entire test and never crashed. Some of the loading screens were a bit too slow. It takes about 20 seconds just to get to the menu screen after pressing the icon. You need to wait another 10 seconds before the game actually starts. Obviously, this is due to the good 3D graphics, but it’s still a bit of a let-down. iPingpond 3D is available from the Android Market for $1,99. ping pong THE GAME ON YOUR PHONES.